When the power blows as the band comes on stage, it’s gives you some expectation of what’s about to transpire. 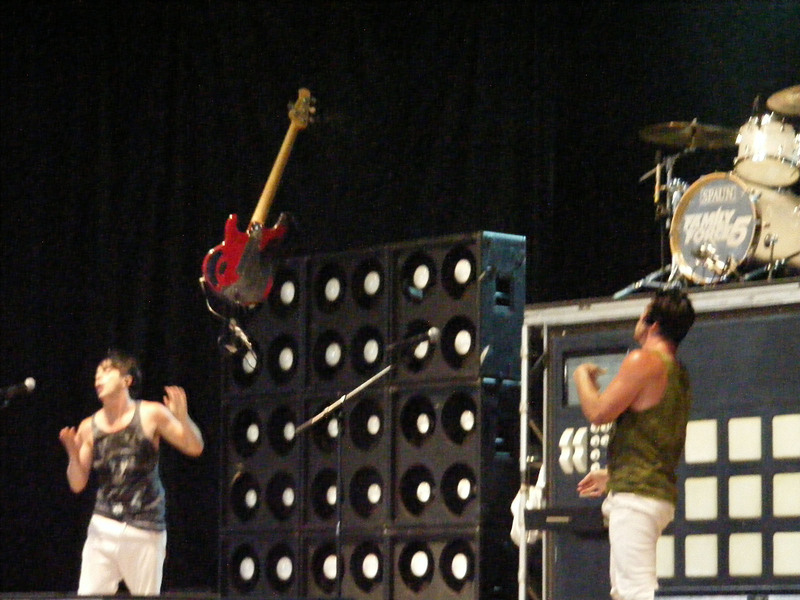 Family Force 5 have proven themselves to be one of the greatest Christian bands to appear on stage. 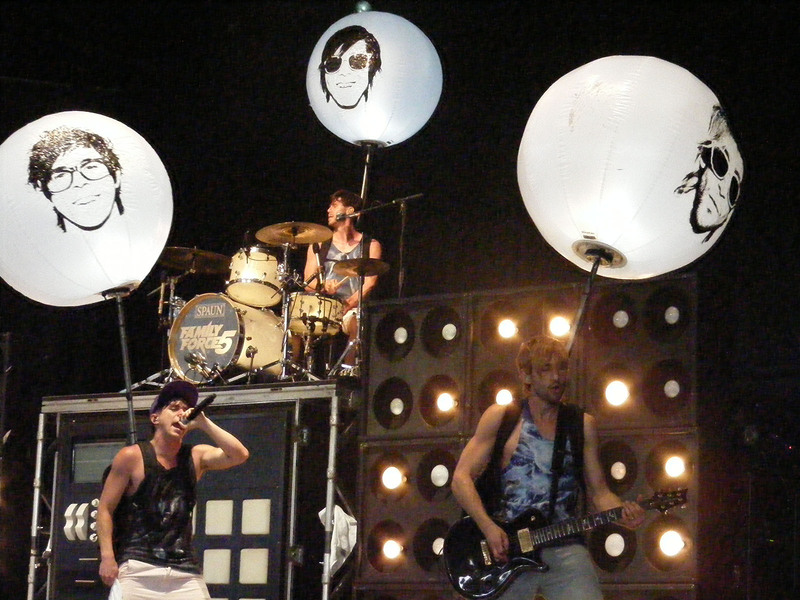 Their live concerts are not to be missed. 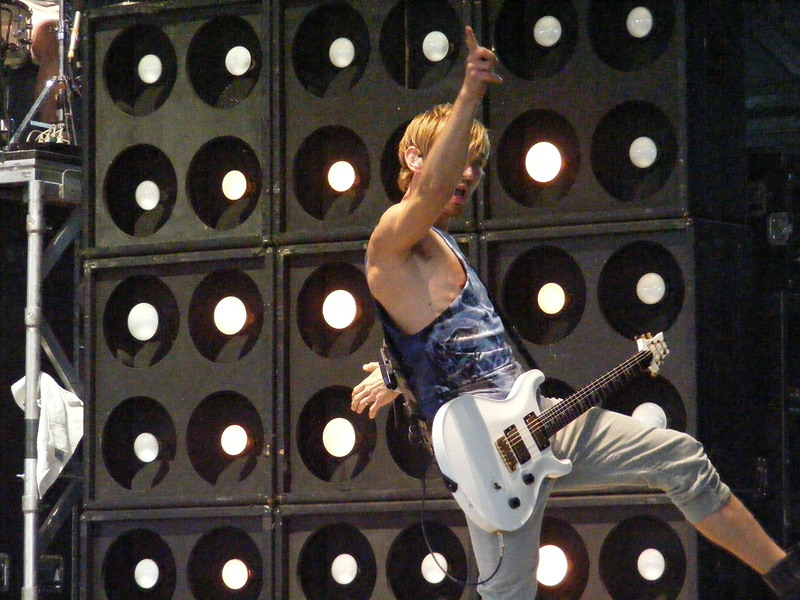 FF5 do not record “serious” songs, nor do they take themselves too seriously. 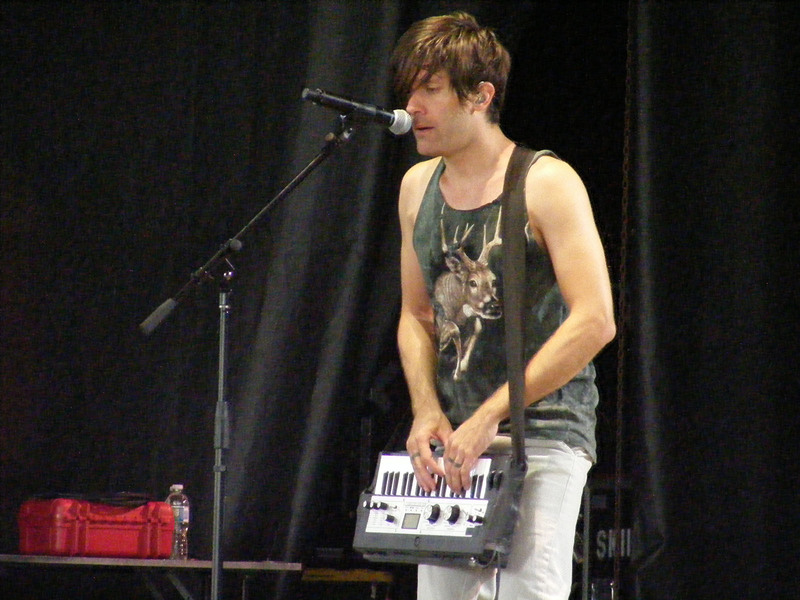 As an indication of the “seriousness” of the band the members go by the stage names: Soul Glow Activatur, Chap Stique, Crouton, Fatty, and Nadaddy. 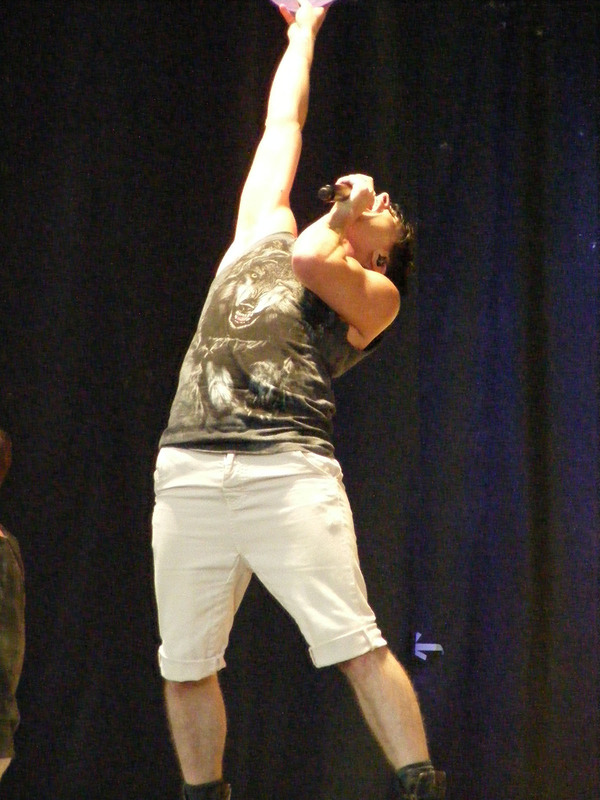 They arrive on stage prepared to have a good time and they want the crowd to have as much fun as they do. 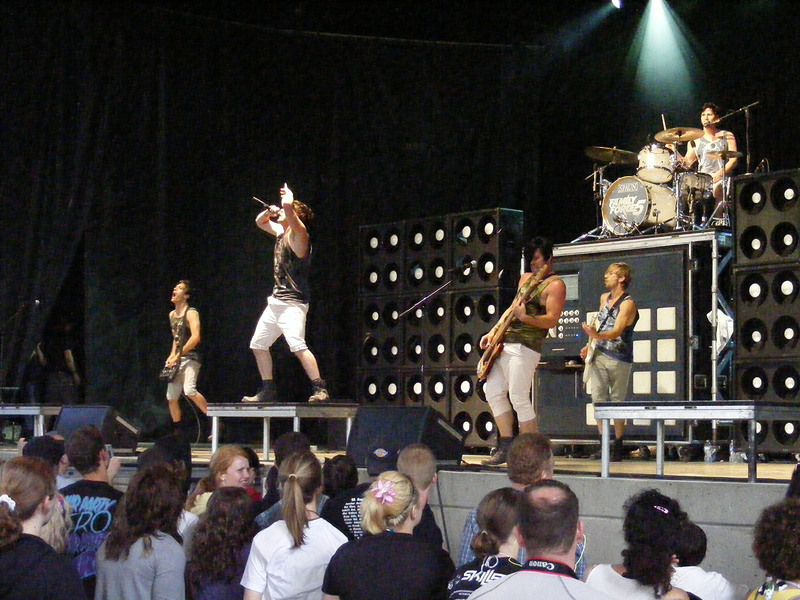 The band’s former attire of leather has been dropped in favour of animal themed tank tops, shin length shorts, and combat boots. Freeing the members to keep up with their athletic moves. 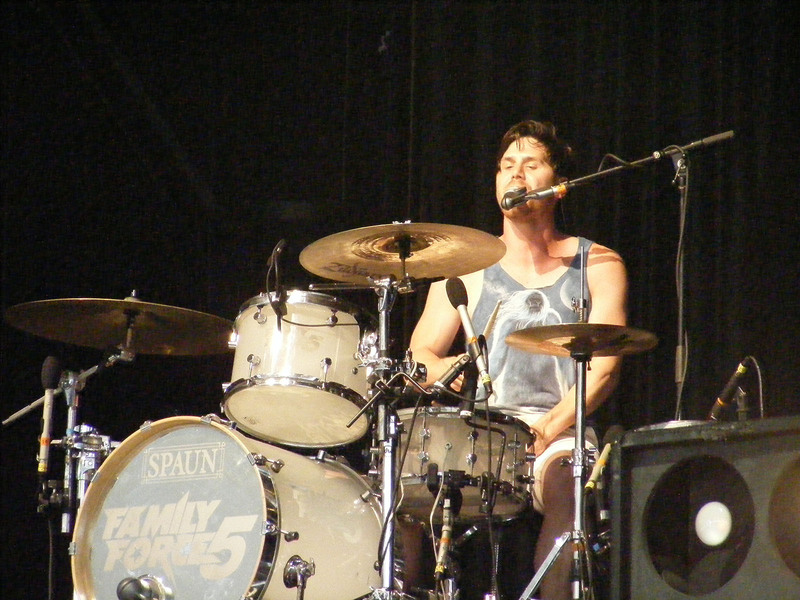 Family Force 5 is a tight, synced, machine on stage. The moves and vocals is put to the test during a new song, “Dang Girl”. Soul Glow Acivatur and Fatty trade off vocals and toss the guitar to each other as each takes charge of separate verses. 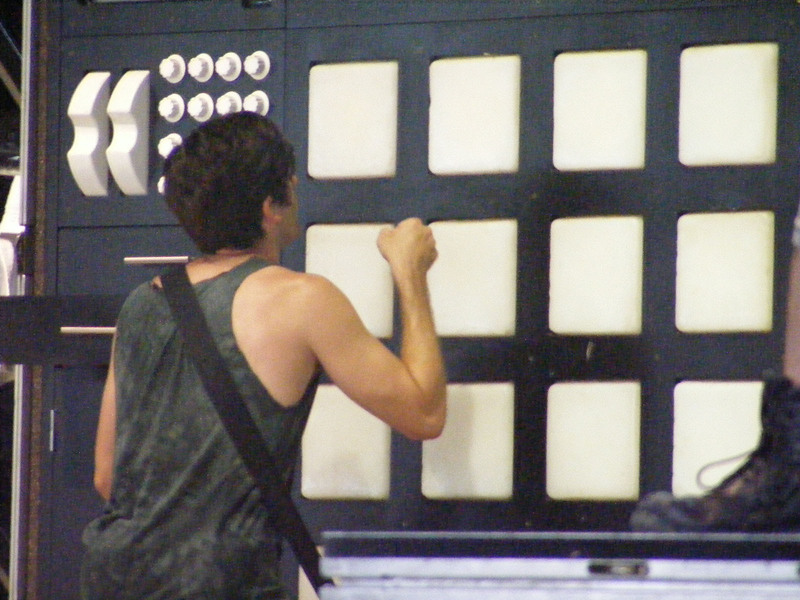 Not to be forgotten are two additional band “members”, Xanadu, FF5’s key stage-hand and the enormous Family Force 5000 drum machine. We’re not only for Christian kids to listen to, to be ministered to. We’re also giving this to kids in the secular market so that they have a positive message and a positive fun thing. 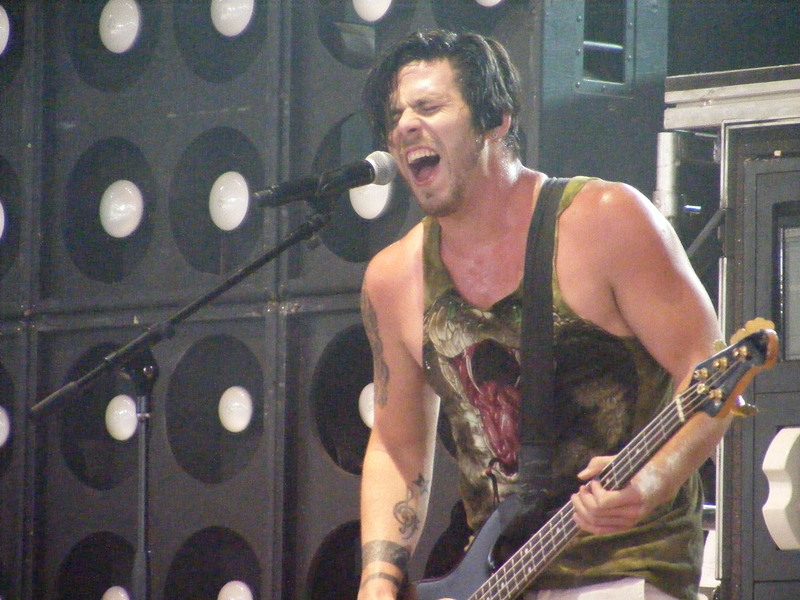 Family Force 5 ran through a full selection of songs from Business Up Front/Party In The Back, Dance Or Die CDs and two of their EPs Keep The Party Alive and the new EP, <em>III. A must-see band. Check them out, you won’t be disappointed. Thanks to my son, Abram, for help with the great photos!